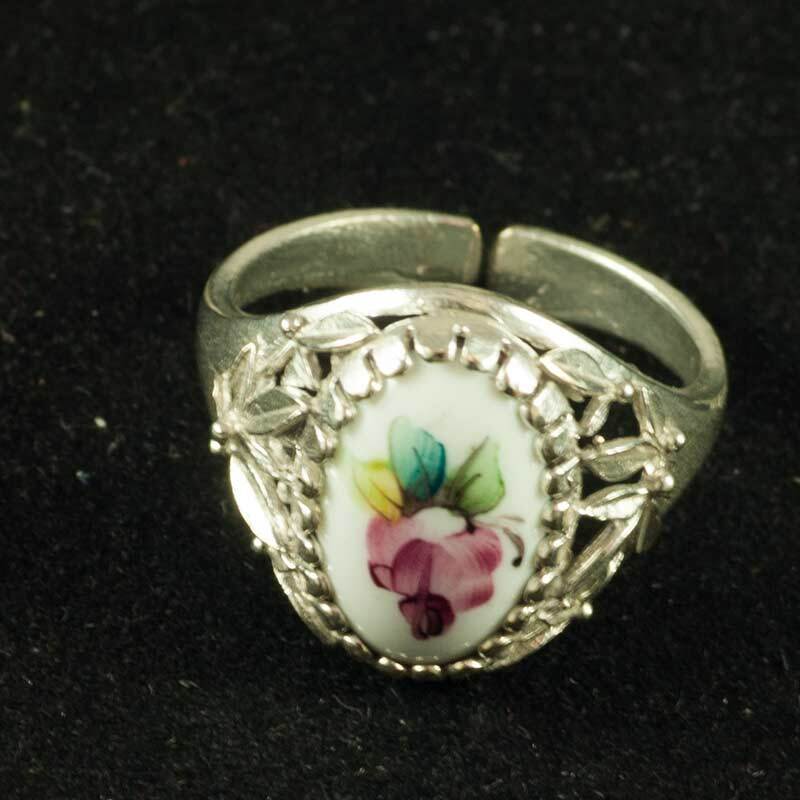 Enamel Ring Spring is are made in according with traditions of old Russian craft in Rostov city. This technique of jewelry making was born and still exists in the Russian town Rostov and it has old name "finift". 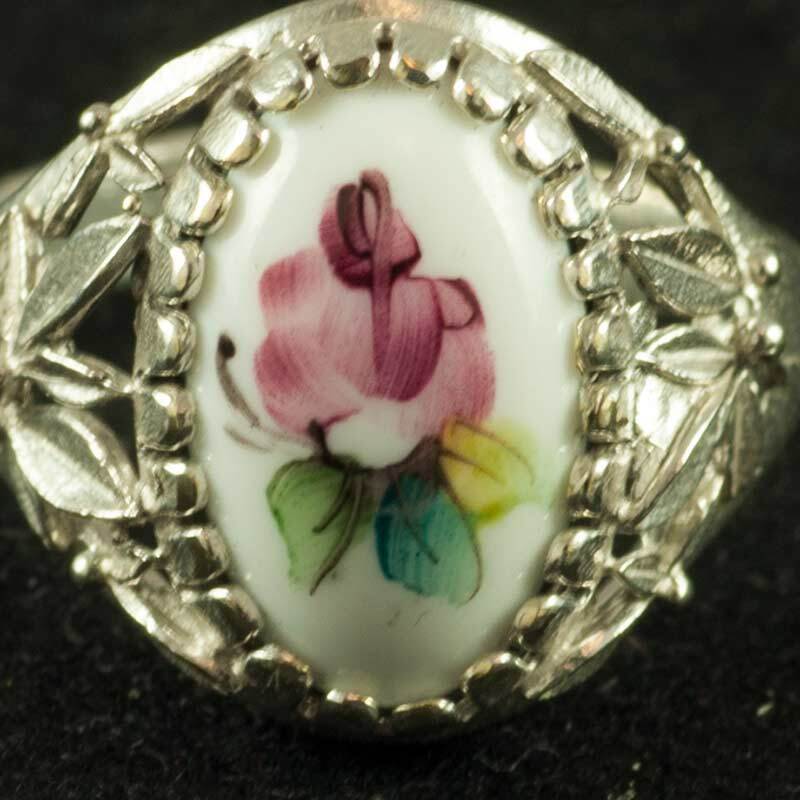 The item is made in technique of so called " hot enamel" - the paints are put on the enamel surface and then are burn under high temperature. 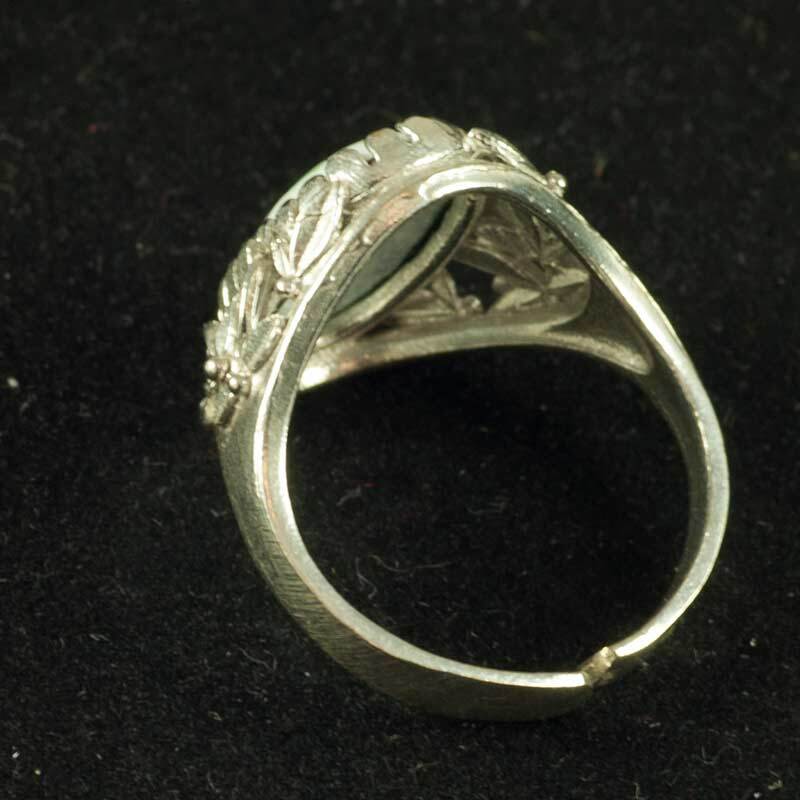 The base of the ring is made on special alloy which in English is called "German silver" and in Russian "melkhior" - this is copper-zinc-nickel alloy which looks live silver, has similar properties but costs less that sterling silver. 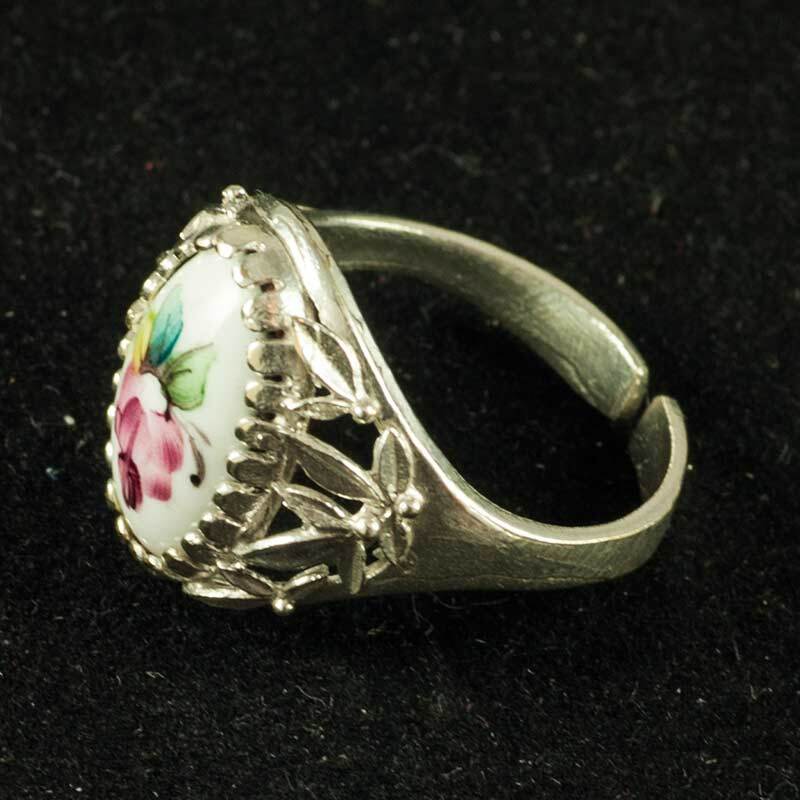 This is a so called "all sizes" ring which can fit well to any finger.